ControlTalk NOW thanks this week’s Platinum Sponsors: Vykon, EasyIO, DG Logik, and ControlCo DataEye Pro. These four industry superstars are nominated for a combined total of (22) 2013 ControlTrends Awards. The time draws near! Register to vote today. ABB Poll: What is the Most Effective Energy Savings Action You’ve Taken in the Past 12 Months? ABB Reader Poll: What is the most effective energy savings action you’ve taken in the past 12 months? Reduced temperatures, Added VFDs, Added DCIM, Virtualization, or Other. 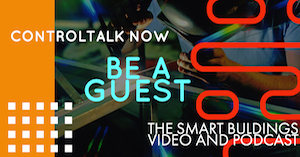 ControlTalk NOW welcomes EasyIO’s global executive Mike Marston and special guest, William Achury, President, Sanko Telecom Ltd, a leading solutions provider from Tokyo, Japan (Thank You very much!). Great insight into EasyIO passing muster in a very challenging and competitive market. Seminar on How SGIP Supports Electric Utilities, Regulators, Manufacturers and Integrators: How SGIP Supports Electric Utilities, Regulators, Manufacturers and Integrators in 2014 to Ensure Electric Grid Reliability in 2014 to Ensure Electric Grid Reliability Seminar. 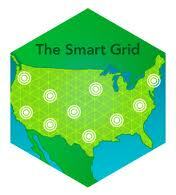 Join SGIP Thursday, December 12, 2013 1:00 PM – 2:00 PM EST. AQUISITION NEWS! WattStopper Buys AIC-Wireless — Lighting Solutions for the High Performance Buildings WattStopper’s Pete Horton delivered this exciting announcement on the November 24th ControlTalk NOW. The combination of AIC Wireless and Bryan Pike’s expertise of the Tridium Niagara architecture with WattStopper’s extensive application understanding of the lighting and electrical infrastructures offers the high performance building industry new and exciting opportunities. Controls Group North America (CGNA), Together We Accomplish More. The ControlTrends Awards Committee thanks CGNA’s Mike Sackett and Jim Hayman for their sponsorship of the 2013 ControlTrends Awards. Controls Group North America (CGNA) is the leading network of Distributor Members and Manufacturer Preferred Vendors in HVAC/R industry. CGNA provides innovative solutions and takes a progressive approach to evolving your business. Through committees, conferences, webinars, and networking opportunities, CGNA impacts our Members’ and Preferred Vendors’ bottom line by increasing their market share. 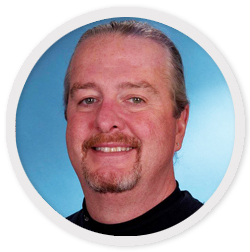 ControlTalk NOW’s second guest, Brian Turner, President of ControlCo, an Oakland-based control solution provider and one of USA’s largest integration distributors, reviews DataEye Pro, which is a candidate for the 2013 ControlTrends Awards Best Building Application of the Year Award. After watching this interview, it’s easy to understand why DataEye Pro was nominated. 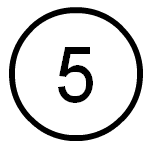 Five More HVAC Giants: Ken’s TOP 5 Information Pivot Points of Week 48: 1. Watts Water Technologies: In 1857, at the age of 17, Joseph E. Watts emigrated to Lawrence, Mass., from Cheshire, England seeking his fortune as a machinist. Just 17 years later Watts set up an independent machine shop, known as the Watts Regulator Company, to supply machinery parts and fittings to the local textile mills. In addition to his success at running his own business, Joseph Watts was extremely inventive—and he soon achieved widespread fame in the manufacturing world as the patentee and maker of steam and water pressure regulators. The Value of the Collaborative Community, by Marc Petock, Vice President, Marketing, Lynxspring, Inc. 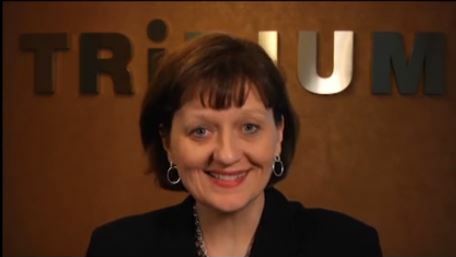 Original article published in Automated Buildings’ December, 2013 edition, entitled, “Collaborating Convergence.” Collaboration simply means “to work together with a shared vision and desired outcome for the future.” Today, many innovations are being fueled by collaborative, connected community efforts. We see it most clearly in the Internet and web, where new capabilities are continuously developed by communities that build on the work of others, creating “mashups”, and new complimentary applications. Nest Encounters of the Second Kind — Nest Protect: Something Different, Something Better! I wonder if its the golden-green Palo Alto sun? But, without a doubt, Tony, and the outside-the-box-thinkers at Nest have struck synergy-oil again. And, with every single modern residence in the world as a possible customer, any electrical appliance, gas, or water consuming device is the next likely egg in the nest (get it). 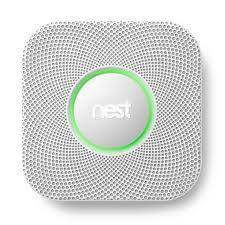 Immediate future plans: Early 2014, will introduce Nest Protect model that works with wired security systems. If you add enough “nestrogen” to anything, you can make it more lovable, networkable, energy efficient, and practical. If we’re going to keep taking bites out of our own poison privacy apple, we might as well make them as economically and aesthetically delicious as possible. Lynxspring JENEsys — Nominee for ControlTrends Awards 2013 Building Automation System of the Year: Lynxspring’s JENEsys® is an open, operational and informational platform that combines building automation (connectivity, integration and interoperability), supervision and control, energy management and actionable information (data & analytics) into a single system within a cyber-secured environment. The JENEsys Platform is scalable and deployment allows organizations to continually build off the same network deployment for adding additional applications as desired. J2 FINBuilder Cool Feature of the Month — nHaystack Tagging Basics: J2 Innovation reviews nHaystack Tagging Basics: nHaystack is a software module that enables external applications to get data out of Niagara stations quickly and efficiently. Once a system is tagged many new and exciting things become possible. By setting up a Site, Equipment, and tags on your points, you can combine data from multiple networks, and view them in one organized list within the haystack service. Now queries can easily be run against any tags on a nHaystack station to dynamically simplify the implementation of visualization, analytics, reporting and mobile apps. Download the nHaystack Service module and get started! Demand Response Analysis Tools Available — The OpenADR Alliance is partnering with Joule Assets to provide the OpenADR community with free access to their DR market analysis tools for the next 30 days. After 30 days, only members of the OpenADR Alliance will have access to the free tools. Functional Devices Inc. Switching Smart Transceivers in LonMark RIBs from FT3120 to FT5000 12/1/2013: Message to Valued Customers. Functional Devices Inc. will be switching the Smart Transceiver in the LonMark RIB Devices below from FT3120 to FT5000 starting December 1, 2013. Devices that contain an override switch will now give the customer the ability to switch the output from N/O to N/C with an on-board jumper. The layout and connections have changed slightly, and FDI will included a new DI status LED (pink). The main advantage to customers will be the elimination of commissioning fees. Yaskawa Nominated for the 2013 ControlTrends Variable Frequency Drive of The Year: For the second year in a row, the Yaskawa Z1000 has been nominated for the ControlTrends Variable Frequency Drive of The Year. Yaskawa provided the Control Trends Community this video on their Z1000 Series. The Drives & Motion Division of Yaskawa America, Inc. announces the release of the Z1000 variable speed drive designed specifically for commercial HVAC applications. 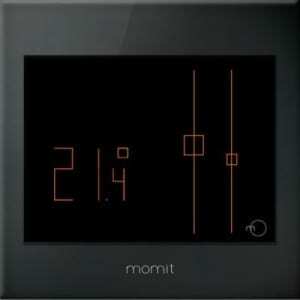 We introduce you to momit Smart Thermostat, a Spanish manufacturer, Thanks to Chantal Marin-Bourceraau, Product Manager and Business Development at Introducing the momit Smart Thermostat — (Europe’s Version of the Nest) Green momit, ControlTrends has learned of yet another innovative and smart thermostat sweeping across European markets, with a possible eye on the North American market as well. ControlTalk NOW welcomes its fourth guest, Michael Welch, Co-founder, Control Network Solutions Ltd. from Chineham, Hampshire, United Kingdom. Michael shares with us, another global perspective of ControlTrends and our industry. 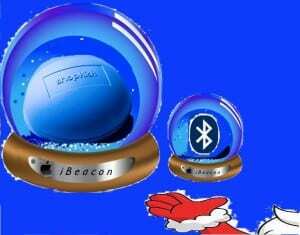 Connecting More IoT-dots: Apple’s iBeacon Debuts This Christmas Season, Previews Connections Yet to Come: ControlTrends thanks Building Context’s Therese Sullivan, therese@runwaypartners.com, once again for her timely and relevant insight (and image) into the cataclysmic change that is moving into place around us as IoT-dots (Internet of Things) so fast that we can barely see or perceive them, let alone comprehend the impact (disruption) these IoT-dots will be making in our lives, homes, and quite possibly to our industry, once connected. Be sure to access the linked content, and especially, read the comments at the end of the post. 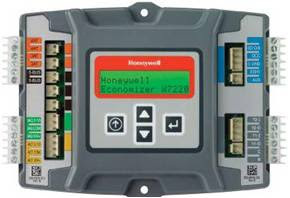 Can The Honeywell VFD Repeat as ControlTrends Best Variable Frequency Drive of The Year? Honeywell, winner of the coveted 2012 ControlTrends Awards Variable Frequency Drive of the Year, is nominated again in the Best Variable Frequency Drive of The Year category. 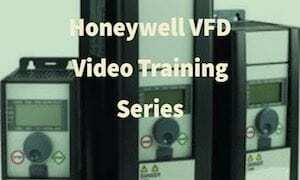 Watch this video to see why many in the world wide ControlTrends Community think the Honeywell Smart VFD has the right stuff. Sad News from Lynxspring’s Terry Swope, Bruce Stimpson, CIO and Dear Friend Passes. It is with a heavy heart that I announce the unexpected passing of Bruce Stimpson. 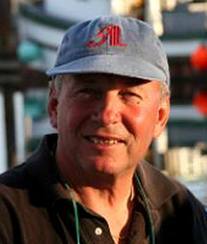 Bruce was co-founder of Lynxspring, Vice President, CIO and dear friend. Please join me in offering his family and friends our sincerest condolences during this sad time. We will miss his smile, jokes, hard work, direction and undeniable passion for Lynxspring. KMC’S In Touch Newsletter​, Q4 2013: KMC Wins Big in Vegas! Each year, the industry organization, BACnet International, uses the platform of the National Facilities Management and Technology (NFM&T) Exposition in Las Vegas, Nevada to recognize outstanding contributions to the BACnet community. And each year, it seems, KMC walks away as a winner in the BACnet “Leaders of the Pack” awards. For the second time in 4 years, KMC (and a KMC rep) were recognized with top honors. 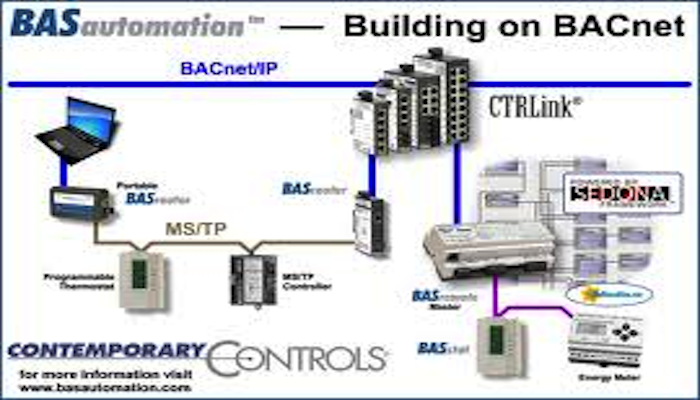 “Best in Show” for the outstanding BACnet project of the year, went to The Bullitt Center of Seattle Washington. KMC representative, Roger Norman of Northwest Automation, was the controls contractor/system integrator for the project and KMC products highlight this landmark facility. 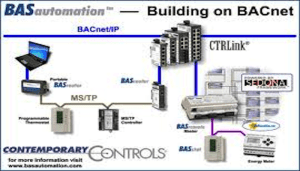 2013 ControlTrends VFD Award Nominee: Johnson Controls — A VFD for Every HVAC Application. Johnson Controls featured the significant additions and improvements they made to their VFD offering at the 2013 ABCS Building Championship Teams Conference. Take a look! Johnson Controls is anxious to save you and your customer energy and money on your next VFD purchase. The Johnson Controls VSD series of variable speed drives offers a broad range of competitively priced open drives and drives with bypass, specifically engineered for Heating, Ventilating and Air-Conditioning (HVAC) applications. 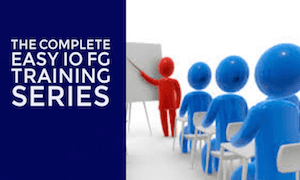 5 More HVAC Giants: Ken’s TOP 5 Information Pivot Points of Week 49 1. 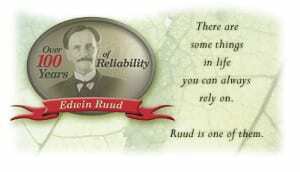 More than 100 years ago, Edwin Ruud, a Norwegian mechanical engineer, came to America and developed the first successful automatic water heater. That early success marked the beginning of a tradition of innovation and value that led to the introduction of RUUD heating and air conditioning equipment in the 1950s. <ahref=”http://traffic.libsyn.com/hvaccontroltalk/65_Episode_65__ControlTalk_Now__HVAC_and_Building_Automation_Control_News_You_Can_Use.mp3″ target=”_blank”>Click here to listen to or download the Podcast version of ControlTalk Now.